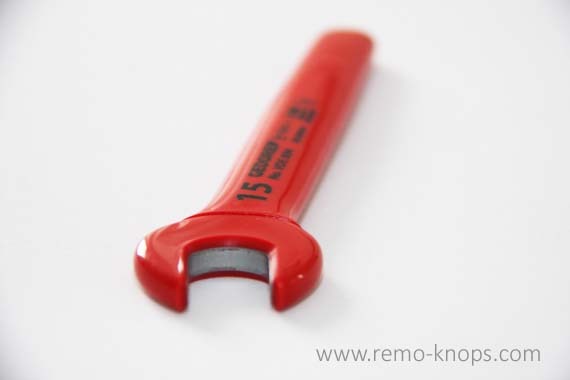 Gedore VDE 894 15 is a 15 mm single open ended spanner with VDE insulation up to 1000V. I’m using the Gedore VDE 894 as a pedal wrench alternative, since most pedal wrenches don’t have a rubber protection layer to avoid scratching your crank-set. Gedore VDE 894 15 – A solid Pedal wrench alternative ? Gedore is a well-established brand for many many years when it comes to wrenches, ratchets and spanners.And while I have a complete combination wrench / spanner set I opted to get me the Gedore VDE 894 15 is a 15 mm single open ended spanner. Recently I’m testing a few power meters like the Pioneer Pedaling Monitor System and the 4iiii Precession single power meter. So I need to change my Speedplay Zero pedals regularly and you don’t want to take the risk and scratch the crank-set with the normal combination wrench. The Gedore VDE 894 15 is a 15 mm single open ended spanner build from vanadium steel 31CrV3. The jaw is set at an angle of 15 °, while the VDE insulation feels very thick and durable. The VDE insulation up to 1000V, according to EN 60900/IEC 60900 standard. The length of the Gedore VDE 894 15 is 150 mm. and the total weight is 0,093 kg. So concluding it is the high quality finish as you can expect from a brand like Gedore. However I’m not sure that those pedal wrenches are up to the Gedore product quality and tolerances. I also consider the width of the Gedore wrench jaw a pro, because it has a larger contact area to transfer the force/load. If I would need to come up with a negative point it would be the length of the Gedore VDE 894 wrench. I always use assembly paste before I screw the Speedplay Zero pedals into the crank, so these easily get disassembled as well. With more stuck pedals, the length could become problematic, since you would need an increased force (with a short arm) to apply the same torque during the disassembly of the pedal. The Gedore VDE 894 15 VDE Single open ended spanner is a high quality pedal wrench alternative that protects your precious crank-set from scratches when changing pedals like Speedplay Zero. With a price-point of € 21,00 – € 25,00 the choice will become even more difficult to choose between a standard pedal wrench or the alternative Gedore VDE 894 15 VDE Single open ended spanner. When you use good assembly paste than the length of 150 mm. of the Gedore VDE 894 will do the trick and is a very robust alternative for a pedal wrench. If you ride Speedplay Zero pedals you might also be interested in the Ergon TP1 Cleat Tool to fine-tune your cleat position. For other cycling reviews you can check out the Cycling Review Table. 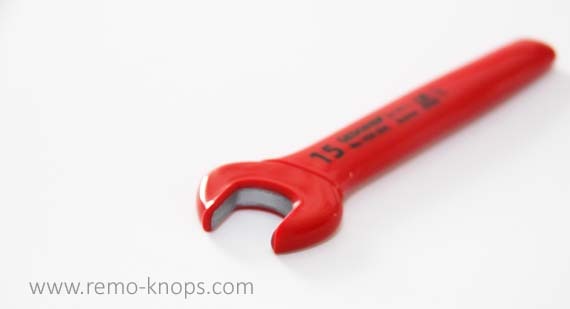 Hey!, I found this information for you: "Gedore VDE 894 15 open ended spanner – A pedal wrench alternative". 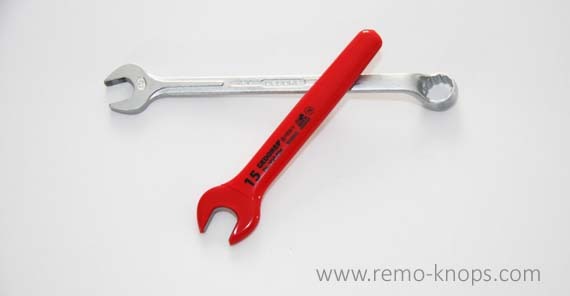 Here is the website link: https://www.remo-knops.com/6838/gedore-vde-894-15-spanner-pedal-wrench/. Thank you.